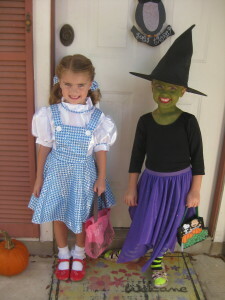 Our girls have dressed up as Dorothy and the Wicked Witch from Wizard of Oz. This was a fun pairing, especially when they were standing together. 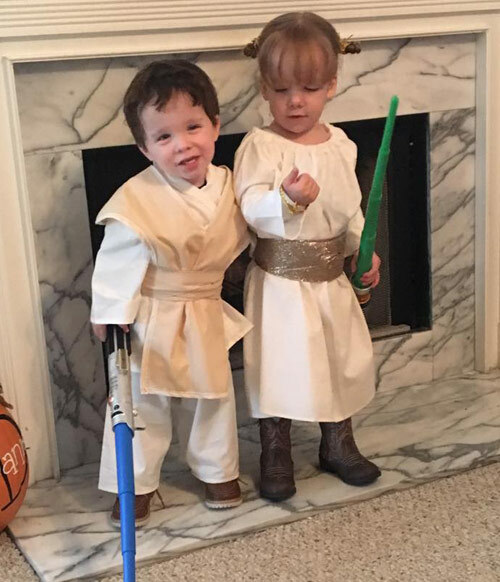 Even if they were separated, the costumes still stood on their own and people could guess what they were. 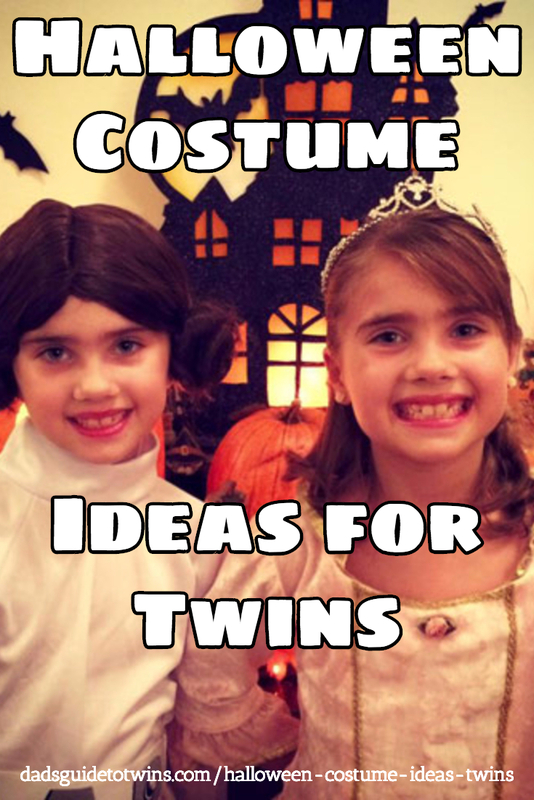 This was one of our favorite twin girl Halloween costume ideas we’ve used. The superhero world is massive at the moment, with films bringing comic book superheroes back to the forefront of everybody’s attention. 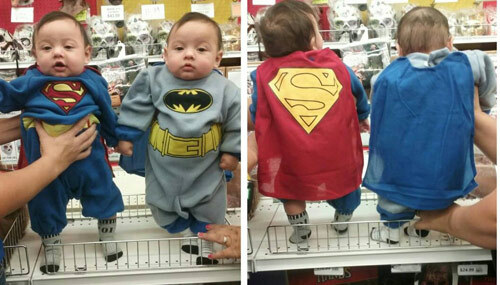 There are many different superhero duos out there from which you can generate ideal Halloween costume ideas for your twins. 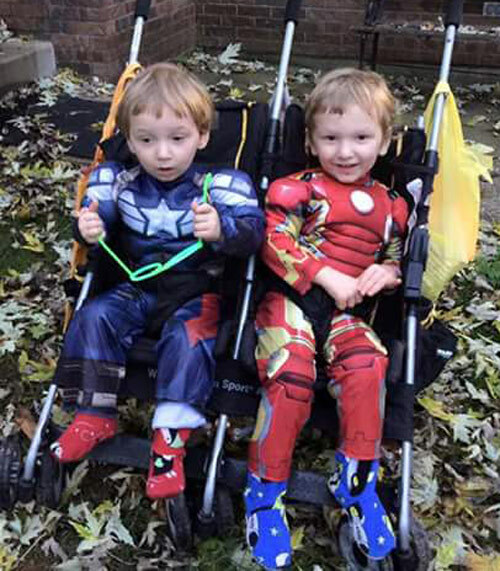 Using a superhero duo for your twin boy toddler Halloween costumes will make for great memories. 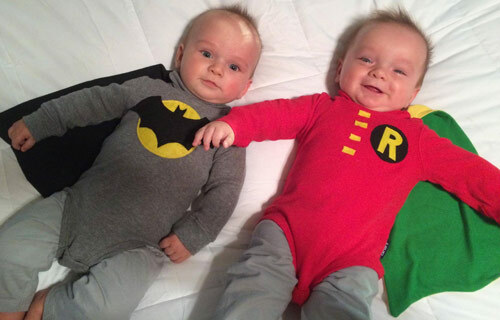 The first duo that comes to mind is Batman and Robin. 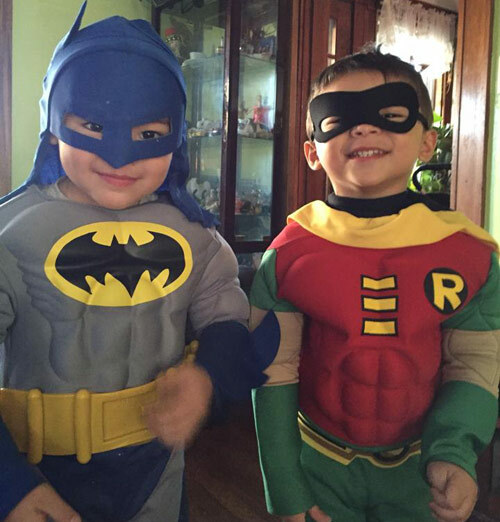 They are the epitome of the superhero duo world, and the costumes can be extremely varied as there are just so many different eras to choose from. Plus, who can resist some cute little turtles? Star Wars. Always Star Wars! 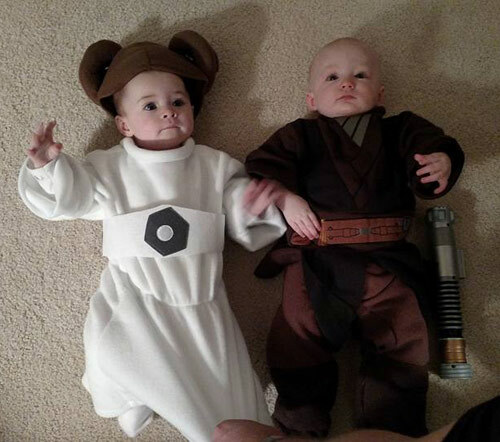 If your family is like mine, we love Star Wars. 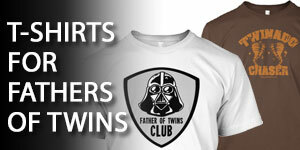 Twins and great pairs are showcased through all the Star Wars movies. 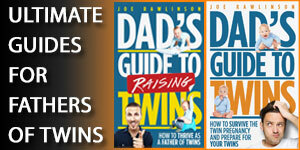 Think of people from your favorite TV shows, or more importantly, your kids’ favorite shows. Most cartoons or children’s shows have at least a pair of characters you could use for costume ideas. 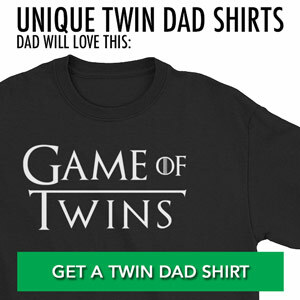 You and your kids love movies. 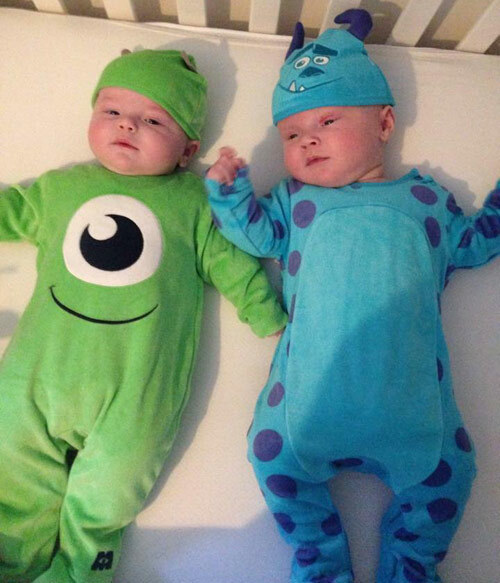 Why not use some of those familiar characters for Halloween costumes for your twins? 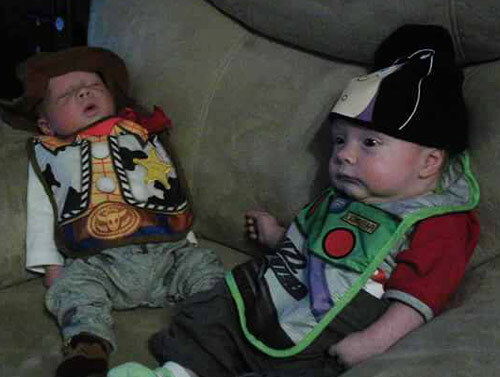 Many movie character pairs make great twin costumes for babies, toddlers, and beyond. 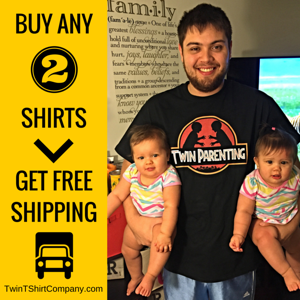 Remember you twins don’t always have to be dressed up in the same theme. 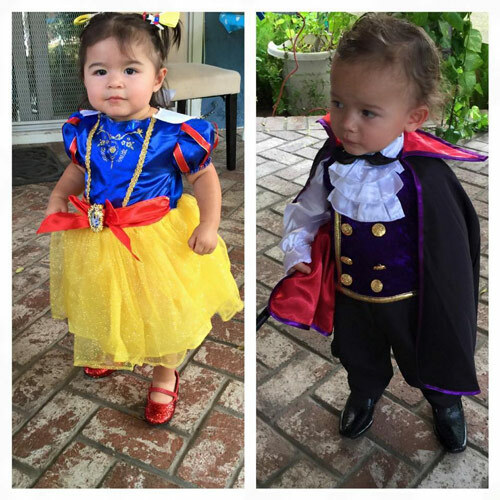 Here’s a Snow White and a Vampire! 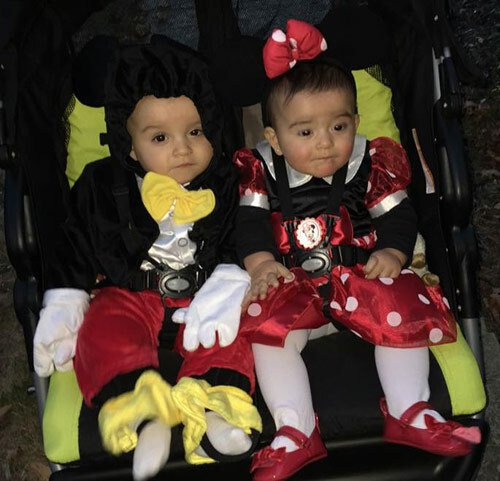 “Despicable Me” Minion costumes are a natural match for twins (or any multiples). 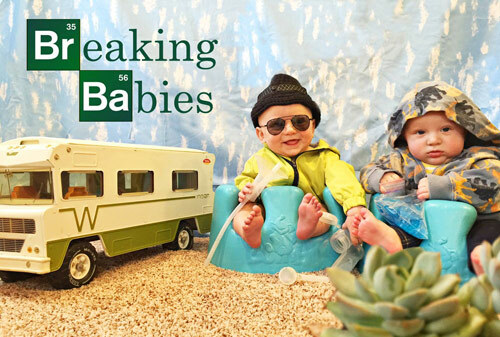 To make these costumes, all you need are two yellow hoodies, overalls and some goggles. Maybe a little yellow face paint to help finish the illusion off! You can also find a packaged equivalent for around $20, but where is the fun in that? 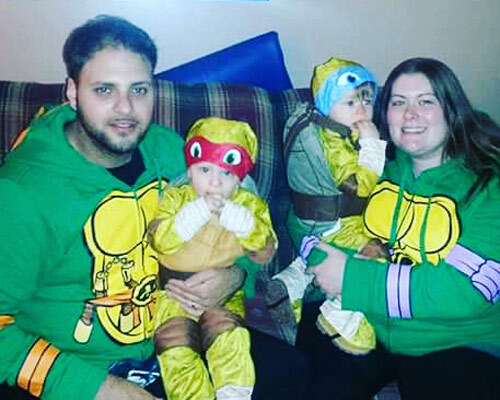 It’s much more fun to create the costumes with your kids! 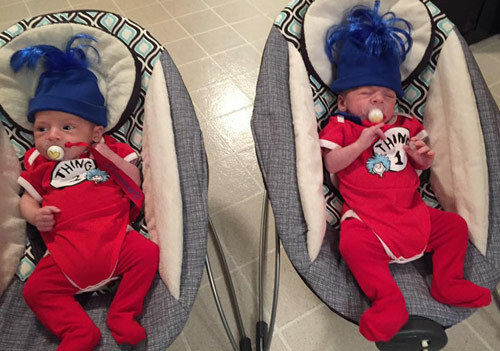 Dress your twins up in the uniforms of rival sporting teams. 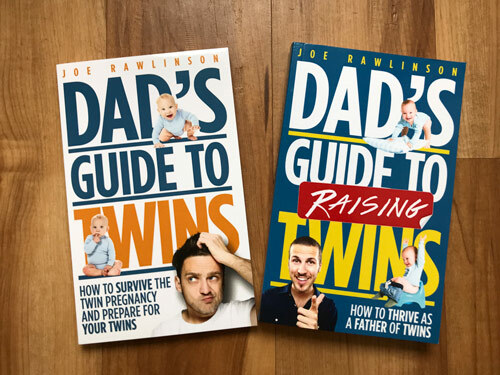 Just make sure you aren’t asking your twins to change allegiances for the night! In our house, my wife and I each graduated from rival universities so we could likely pull this off without much difficulty. 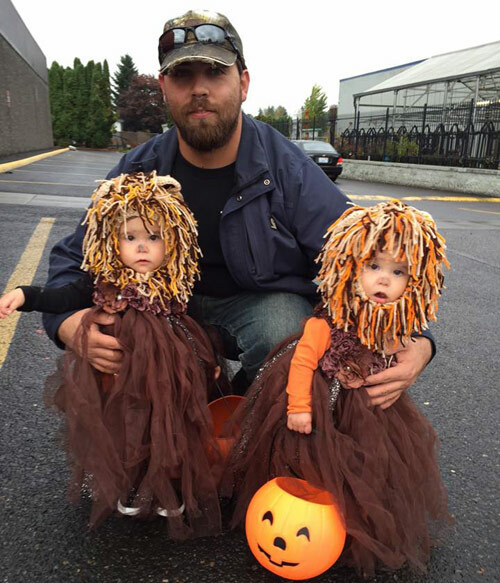 Remember that Halloween is about having fun and creating fun memories with your twins. 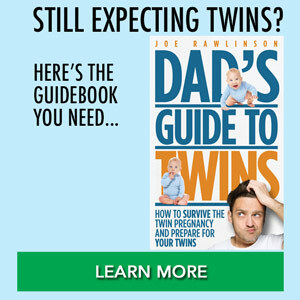 Don’t stress too much about the perfect matching outfits and that everything goes smoothly. Because it won’t! 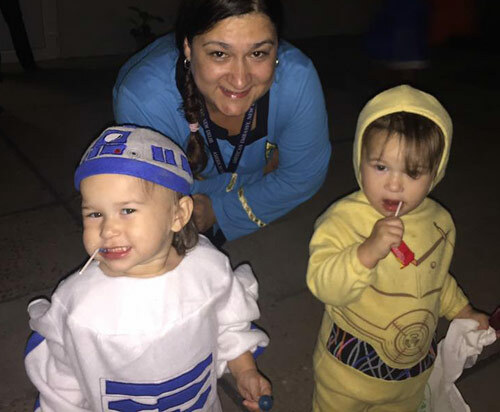 When you mix twins of any age with later-than-usual bedtimes, unfamiliar costumes, and lots of candy, you’ll be in for a fun ride. 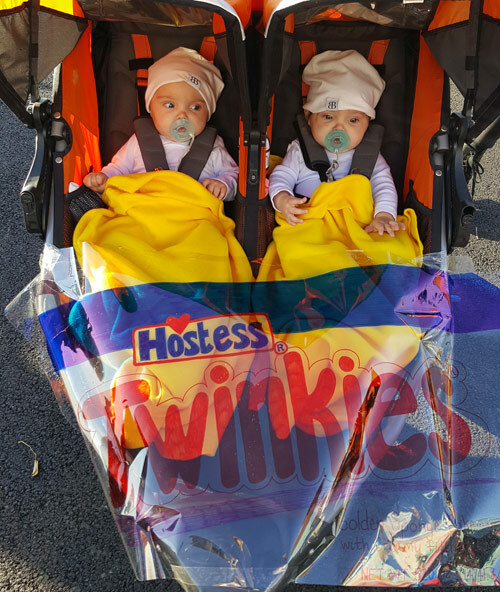 The potential for funny Halloween costume ideas with twins is limitless, so make sure you don’t send them out as the same thing as last year! 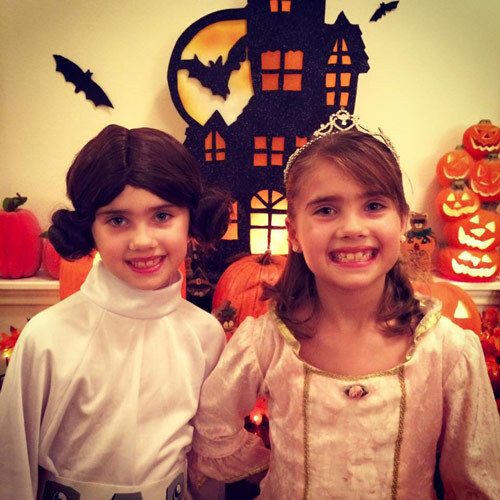 Get creative and give them interesting and engaging costumes they will not be likely to forget in a long time! 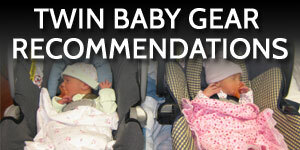 What costumes have you used for your twins? What ideas do you like? 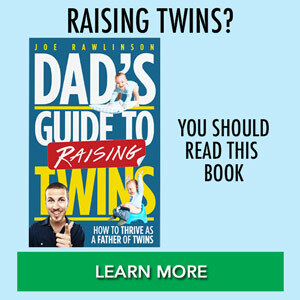 Special thanks to the parents on my Dad’s Guide to Twins Facebook page for sharing their costumed twins!